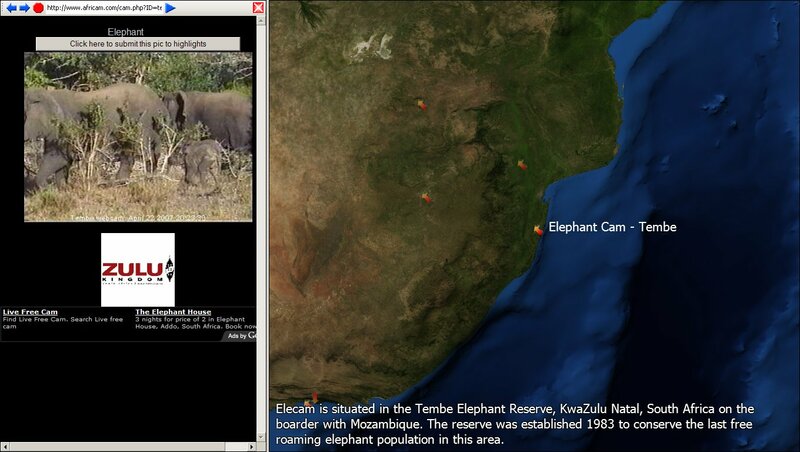 Africam has a several cameras in Africa which are pointed at African wild life. The Africam add-on lets adds cameara locations to WorldWind and as an icon is clicked the particular camera view appears in WorldWind’s internal browser. Instructions and a download link can be found at WorldWindCentral. The add-on was prepared by Bull_UK who describes it in detail on his blog .